Blue cheese is a soft, creamy cheese known for its pungent smell and sharp taste, but it rarely gets the credit it deserves as a health food. Its blue or blue-grey spots and veins account for its live cultures of the mold Penicillium. Many people write off blue cheese as fat- and calorie-laden food. While all types of cheese contain protein and some minerals, some cheeses are healthier than others, and some even boast an impressive array of health properties. Blue cheese has fewer calories and less fat than most types of cheese. It’s also more nutrient-dense, and the blue mold in it has unique benefits for heart and joint health. Although blue cheese is a healthy addition to a balanced diet, you don’t want to eat it in excess because it has a high sodium content. Blue cheeses have twice the amount of salt used in other cheeses. If you’re religious about eating fat-free or low-fat dairy products only, you may want to reconsider your beliefs about fat when it comes to blue cheese. Because it has healthy fat that works against bad fats, it can improve your health. Studies have shown that blue cheese reduces cholesterol levels. The mold in blue cheese, Penicillium roqueforti, aids your liver by fighting off and balancing populations of harmful bacteria and parasites responsible for increasing the production of cholesterol in your body. This mold also inhibits the angiotensin-converting enzyme (ACE), and in effect controls high blood pressure, much like hypertension medication. Despite their high-fat diet, French people have the lowest rate of cardiovascular diseases in the world. They also happen to consume a lot of blue cheese. Blue cheese contains many essential vitamins and minerals, such as vitamins A, D, and B-12 and potassium, calcium, magnesium, phosphorus, and zinc. Each ounce of blue cheese gives you 7 mg of magnesium, which increases bone density and reduces muscle stiffness. Its other bone-booster is calcium, and it has about 150 mg per ounce (15 percent of the recommended daily intake). Blue cheese also gives you 15 percent of the recommended daily intake of vitamin B-12, making it beneficial for your nervous system. 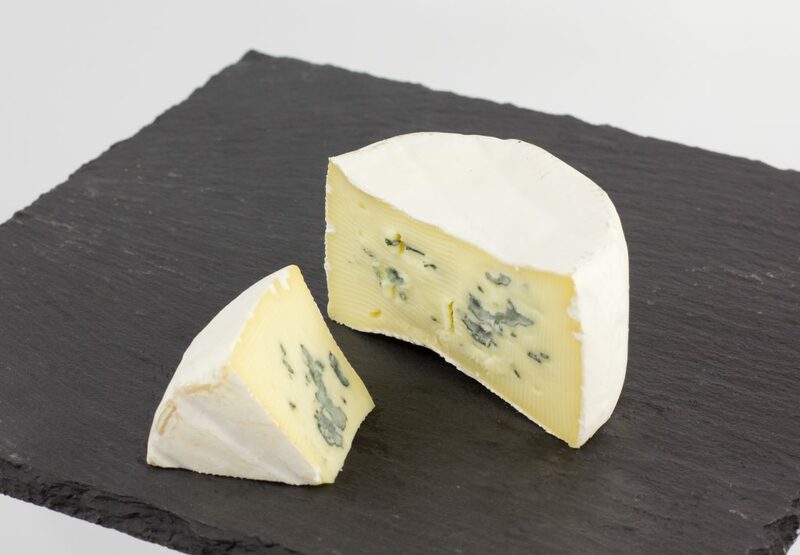 Another benefit of the mold in blue cheese is that it has an anti-inflammatory effect that works to fight or prevent inflammatory diseases, such as arthritis and inflammatory bowel disease. Its anti-inflammatory properties also help reduce the buildup of plaque in your arteries and keep them clean, which is another reason it’s good for your heart. The live, active cultures in blue cheese give it antibacterial properties, so it fights against pathogens like harmful bacteria and parasites. The good bacteria in blue cheese promotes gut balance, which strengthens your immune system and improves digestion. Besides the mold in blue cheese, its lactic-acid bacteria and bifidobacteria content also contribute to the high amount of probiotics found in the cheese. These bacteria have been found to alleviate sinus allergies, food allergies, and diarrhea. Protein is a vital building block of bones, muscles, cartilage, blood vessels, skin and hair. Each ounce of blue cheese has 6 g of protein, making it a significant source of healthy milk protein. It’s low in calories relative to other cheeses, so it’s a good choice if you’re counting calories or trying to lose weight. Blue cheese improves cognitive functions, including memory recall, by stimulating and nourishing brain cells in a way that promotes regeneration and enhances focus. Whether you tend to get brain fog or just want to eat for prevention of degenerative brain diseases, incorporating blue cheese into your diet can help. It’s great for growing children, as well as senior citizens. Blue cheese has a significant amount of vitamins, minerals, protein, and probiotics that boost your immune system. It also apparently lowers cholesterol, high blood pressure, and inflammation, making it an excellent choice for your heart and overall health. Try with crackers, in salads or on sandwiches. It’s undoubtedly worth a taste. Check out our additional recommendation to help you enjoy your blue cheese.